What Are The Uses Of Gemigliptin tartrate sesquihydrate? 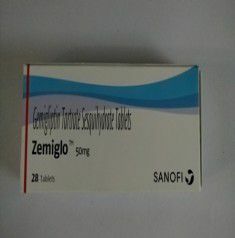 Gemigliptin tartrate sesquihydrate is a dipeptidyl peptidase-4 inhibitor used in the treatment of type 2 diabetes. What Are The Side Effects Of Gemigliptin tartrate sesquihydrate? What Are The Contraindications Of Gemigliptin tartrate sesquihydrate? Hypersensitivity towards the drug gemigliptin tartrate sesquihydrate or any other allergies.